The Finest Carrier is an enterprise founded by an elite uprising of enthusiasts. With over 20 years in the driving force of the industry, a consistent void in enclosed transportation market became obvious. We know how important it is to be on time and damage free. 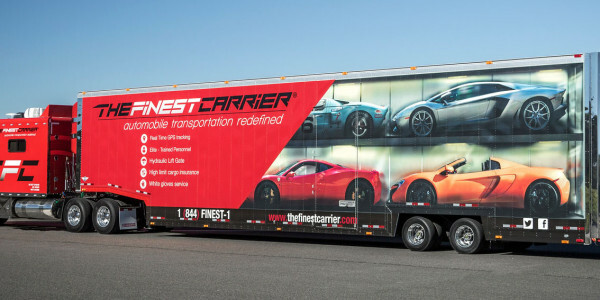 Our enclosed carrier fleet is designed to provide security and protection. Our customized six car enclosed trailer is the standard in the transportation industry. Trailers are hard sided with lift gates and we wheel strap each unit. We can also provide services with flatbed and open car carriers for oversized vehicles or those not requiring the security of an enclosed trailer. for antique car transport, auto auction transport, auto show transport, collector car transport, exotic car transport and racing car transport. Professionally trained and courteous drivers, State of the art GPS tracking, 24 hour round the clock service, 48 State service. The Finest Carrier is an enterprise founded by an elite uprising of enthusiasts. communications throughout, less the booking, was frustrating and unacceptable. the highest quality service with fair market pricing. 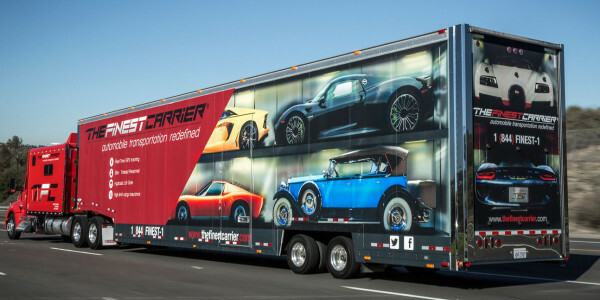 The Finest Carrier is a business founded by classic car enthusiasts. for micro-managing. The most important of all is your driver. the experience needed to achieve it.